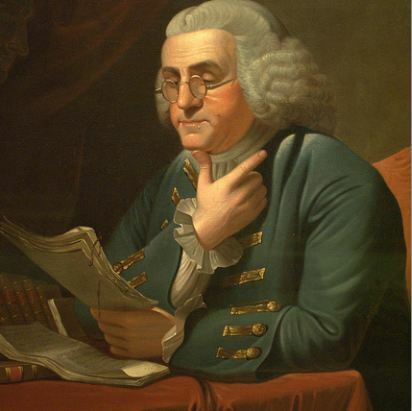 Here at the Franklin Society, our mission is simple: To research and share alternative investments with self-directed retail investors. And that’s just a fancy way of saying we report on the investment opportunities that the mainstream financial press typically disregards such as cryptocurrencies, microcap stocks, private lending, real estate, and more. Somewhere along the way, we lost the connection with our money. Somewhere along the way we were told that we’re not smart enough to manage our money. Money managers and Ivy League MBA’s convinced us that money is complicated. It takes vast rooms full of computers and legions of angry brokers shouting into telephones to REALLY make money. You know, as well as I do, that is just what they want us to believe. In fact, we believe that in order to truly make America great again, we should take back control of our investments. Become self-directed once again making our own decisions and not paying huge fees to “too big to fail” bankers. What if there was a way to do just that – take back control of our money? What if we could control our financial future with simple to understand (and implement) investments both in the private and public markets? For centuries if you wanted to start a newspaper or a mercantile or build a hotel, you sold shares to people right in your own town. You probably even borrowed money from the very people who were going to benefit most from your new venture. This was how Benjamin Franklin invested his money, too. Most people know him for his pennywise quotes or his inventions, but Franklin was a savvy investor as well. He invested in the first private fire department, the first insurance company, and the first library the world had ever known. He helped start newspapers and printing companies all over this great land long before we were declared our independence from the British. And, perhaps most importantly, he started the The Leather Apron Club, a society of like-minded gentlemen interested in business, investing, and sharing ideas. The Leather Apron Club met weekly to discuss what was working, what wasn’t, who was starting a business and who was failing. They shared investing secrets, ideas, and probably a beer or two, back when it was considered rude and uncouth to discuss money. And so, in the spirit of Ben Franklin and his Leather Apron Club, we have founded the Franklin Society. Putting the power of money, and our connection to it, back in OUR hands. There are hundreds of ways to grow your money now, WITHOUT Wall Street. There is crowdfunding, angel investing, peer to peer lending, passive real estate investing, and even cryptocurrency investing. This revolution is actually taking how we look at money BACK about 200 years, back to the time when we decided how our money was invested. The truly revolutionary part of all this is not what we’re investing in. After all, most investments have been around for centuries. No the real revolution is in our access to them and how easy it is to discover high-quality, high-yield opportunities around the world. Technology has made it easier than ever to find these investing opportunities and decide which ones are the best for us. And the returns, well the returns are revolutionary too. A recent Vanguard study showed that disciplined angel investors can make 25% a year and MUCH more. There are private lenders making money in real estate, completely passively, at a 20% per year rate. There are ways of making 18% lending money to individuals who are trying to turn their life around. Our Liberty Letter portfolio performance in 2017 was 128.09%. And we provided our members with all the research and insight they needed to invest along with us. It’s all out there, ripe for the picking. You just have to know WHERE to find the opportunities, and HOW to choose the right deals. We want to be your lighthouse, your watchdog, and your private investigator to find the best opportunities – in the public and private markets – and root out the nonsense. And our looking to help each other change the way we invest – forever. Please join our community of like-minded investors as we embark on a new revolution in investing – the Leather Apron Club for investors seeking higher returns from a new kind of investing!